A chilled Sunday morning ride along our fabulous coast. From Bondi Junction to LaPerouse and back again. – Bronte, Coogee, Maroubra, Malabar, Long Bay, Little Bay to La Perouse and Botany Bay. 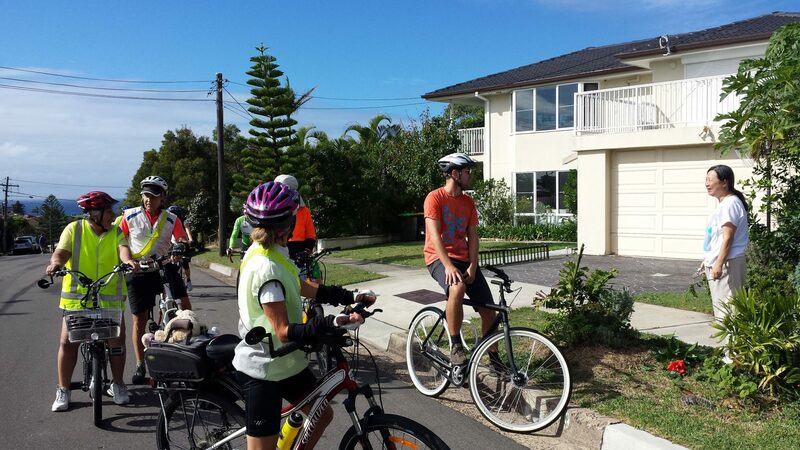 After a coffee break at Frenchmans Bay we head back through Yarra Bay, Botany, Heffron Park, UNSW, Randwick and Centennial Park to Bondi Junction (ETA 11.30am -ish). This is a regular ride on the 1st Sunday of each month. We’ll ride in fine drizzle but not heavy rain – please check Meetup on the morning of the ride for any weather-related updates! On road, cycleways, shared paths. Easy pace.